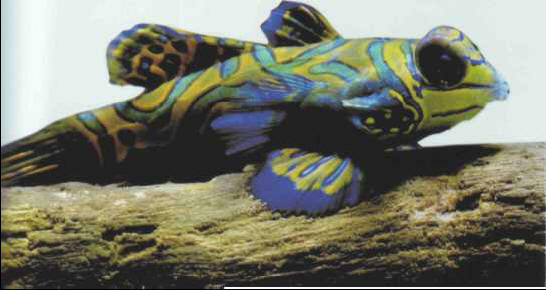 The blue mandarin accepts small morsels of fish or mussels, which it will only take from the bed. Even when raised in couples, they will fight to the death, especially if the tank is too small. These fish are well suited to invertebrate aquariums. Size: 10 cm.